For lovers of Sixties music, this is the ultimate line-up. 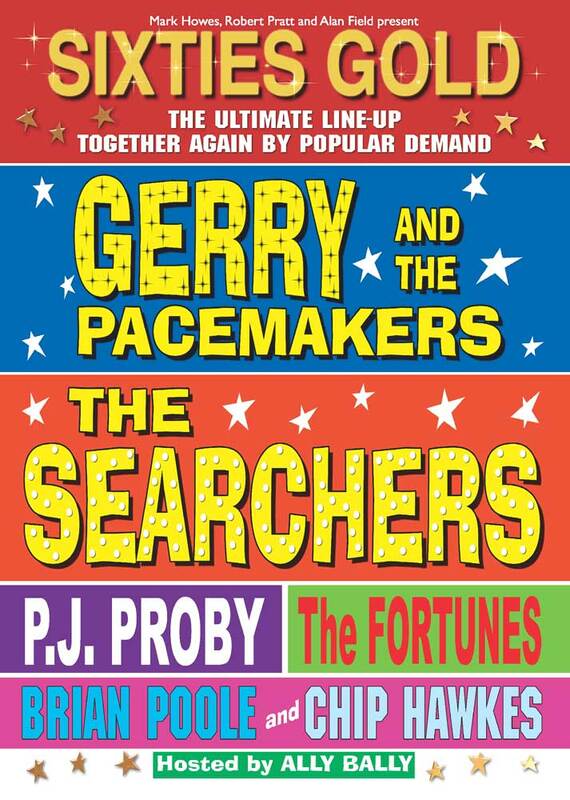 Featuring record breaking Merseybeat band Gerry & The Pacemakers. The first act to reach No. 1 and the first act ever to top the charts with their first three singles. Also from Liverpool and tipped to be as big as The Beatles, The Searchers’ first single also went to No. 1 and led to five more Top 5 hits and a total of 128 weeks in the charts. Controversial, ponytailed P.J. Proby, whose trouser splitting shocked the nation, was a Melody Maker teen idol award winner in 1964 and spent 91 weeks in the charts. The Fortunes stormed the Top 10 with You’ve Got Your Troubles, Here It Comes Again, Freedom Come Freedom Go and Storm in a Teacup. And finally, Brian Poole and Chip Hawkes. On stage together, bringing you the very greatest hits of The Tremeloes. 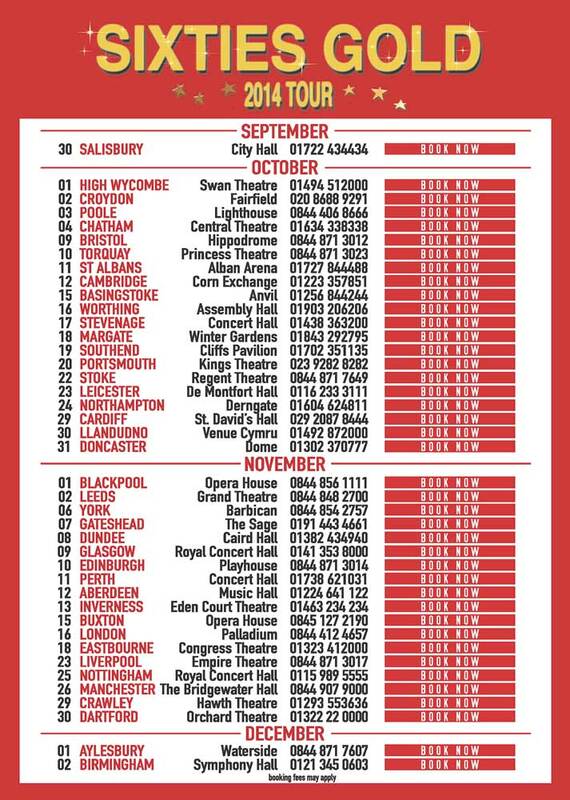 View Our Event Calendar to see when we will be playing at a theatre near you. hope to see you in November.